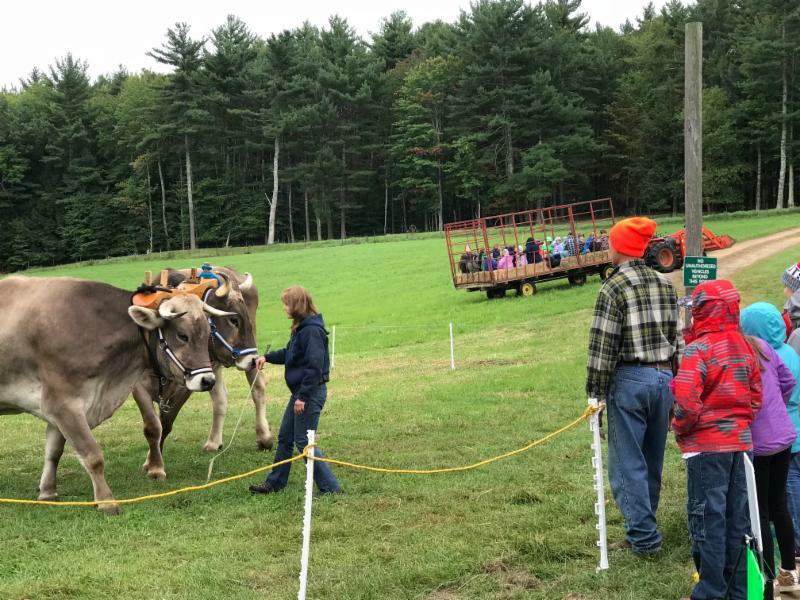 A New Hampshire tradition can bring hands-on learning to your science, social studies, language arts, math and other classes. 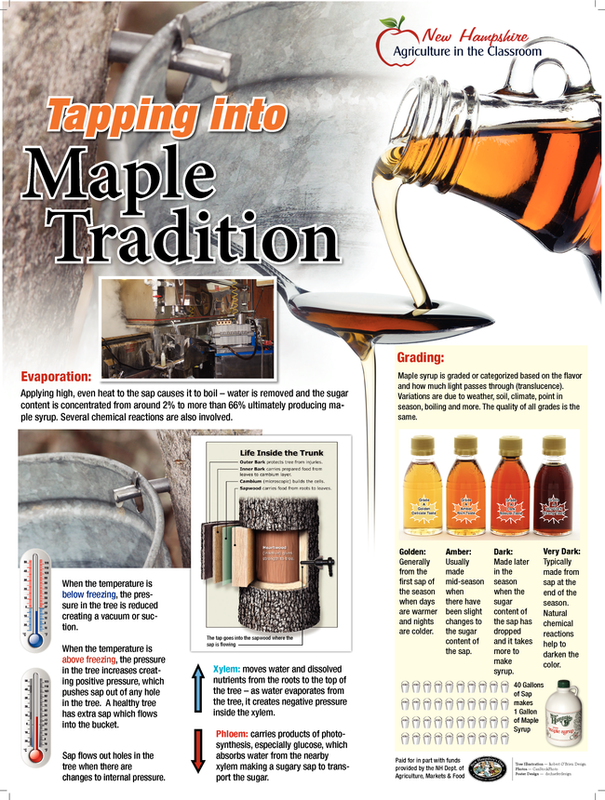 Maple syrup is a sweet way to engage students while learning a variety of academic concepts. Apply for a maple equipment grant to receive $200 in supplies or funds towards building an evaporator to help bring the lessons to life. In this competitive grant process, four to six grants will be awarded to schools demonstrating a plan for producing a minimum of 1 quart of syrup. The Tucker Mountain Challenge is a classroom competition for students to show off their sugaring skills. Entrants must submit one quart of maple syrup by April 1st, 2019. Samples will be judged on color, density, clarity and flavor. The first place class will receive $1,000, second place receives $750 and $500 for third place. Applications are now open! 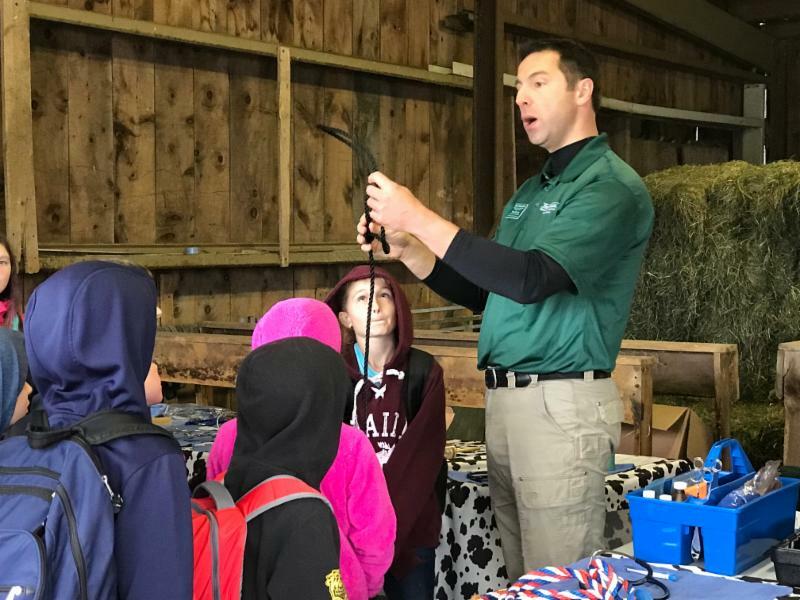 Fourth grade students from Belknap County traveled to Ramblin' Vewe Farm in Gilford for a day of hands-on agricultural education. 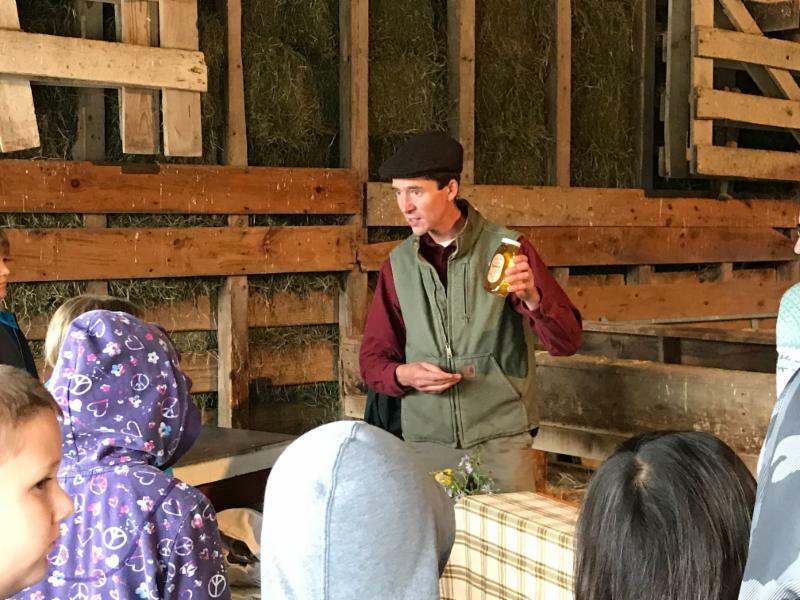 Even the rain didn't dampen their enthusiasm for a sheep shearing demonstration, making butter, visiting the NH Assistant State Veterinarian, learning about garlic, petting an ox, plus exploring maple syrup, corn, pumpkins, wool, bees and soil. Some of the classes were even treated to a hayride. 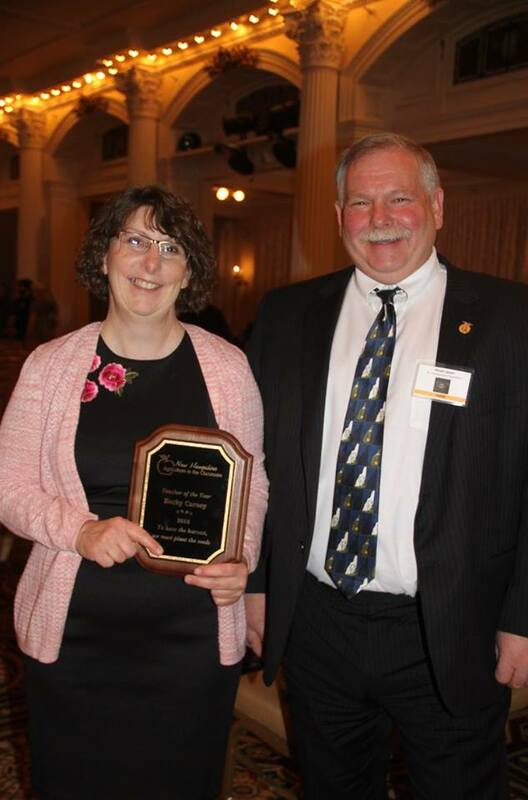 Plan ahead for the 2019 National Agriculture in the Classroom Conference and apply for a $1,500 American Farm Bureau Foundation White-Reinhardt grant to help cover expenses. The conference is June 18-21, 2019 in Little Rock, AR. Application is due October 15th. Whole Kids Foundation offers grants for school gardens , honey bees and school salad bars . They also provide a variety printed resources . They are currently accepting applications until October 15th. 2019 Budding Botanist Grant will help students learn about plants, explore their world and inspire them to take care of the life they discover in their local ecosystems. In early 2019, six grant packages valued at $3,000 in cash and supplies will be awarded to six schools across the US. Applications due by November 19, 2018 . Students will discover how agricultural commodities are transported from producers to consumers. Students will describe the farm-to-table process of common fruits and vegetables, recognize the nutrients fruits and vegetables provide, and evaluate methods of food storage and preparation for preserving nutrients. grades 9-12 Students will compare and contrast milk and plant-based milk substitutes by learning their source from farm-to-table and discovering how they "stack-up" in nutritional value. Students will also explore food package labeling laws and consumer trends in milk consumption to think critically about the impact of labels in marketing and consumer perceptions of food.